We will shower you with our Japanese hospitality and service “Omotenashi” as you enjoy the local cuisine (Kyoh-oh cuisine Ogottuo) and culture of the Kiso Road. 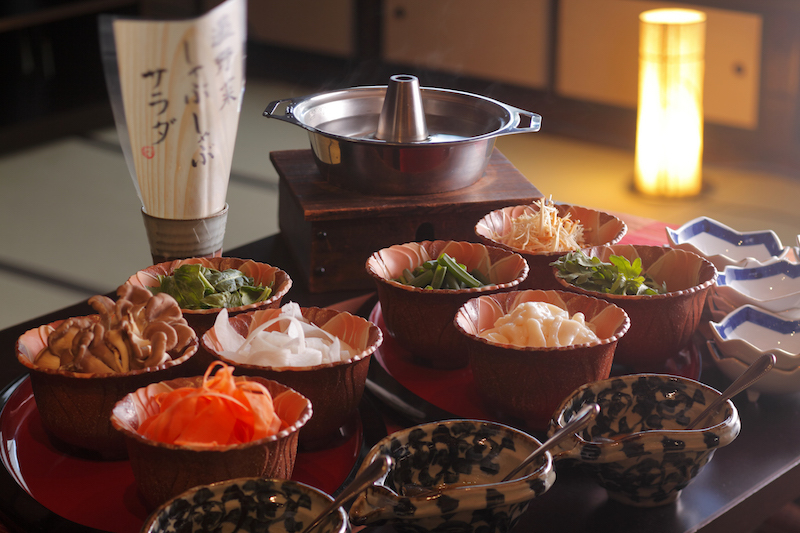 [Kyoh-oh cuisine Ogottsuo] is a cuisine prepared to welcome guests with Japanese hospitality, “Omotenashi” [oh-mo-te-nah-shi]. This has been passed down from our ancestors. It’s our proud cuisine which has the buffet style and the course style. You can enjoy both of them. The seasonal ingredients are harvested in Kiso. Our ingredients are so fresh and delicious! The flavors will explode in your mouth. 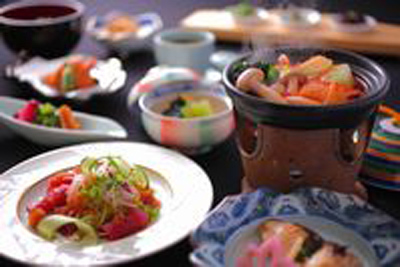 [Kyoh-oh cuisine Ogottsuo] is full of the uncompromising love and spirit of Kiso. 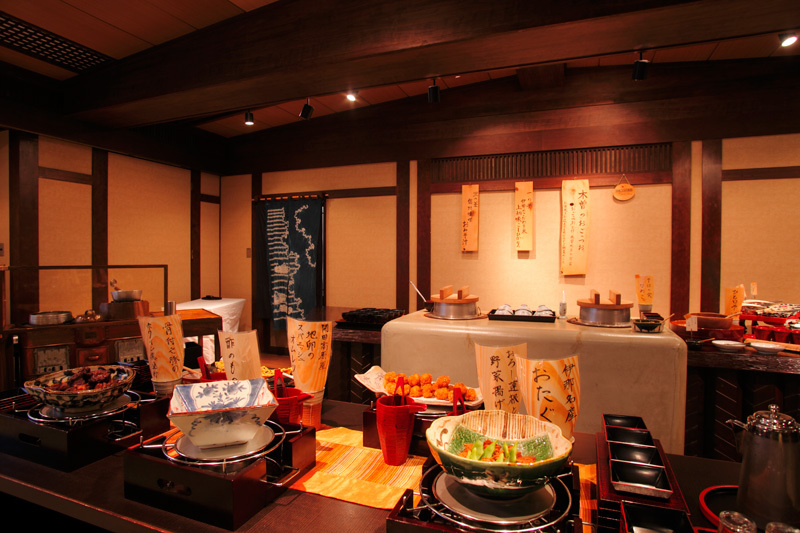 You can taste innovative cuisine [Kyoh-oh cuisine Ogottsuo] while still feeling connected to the long history of Kiso. We hope that you will always remember the delicious meals you share with us. 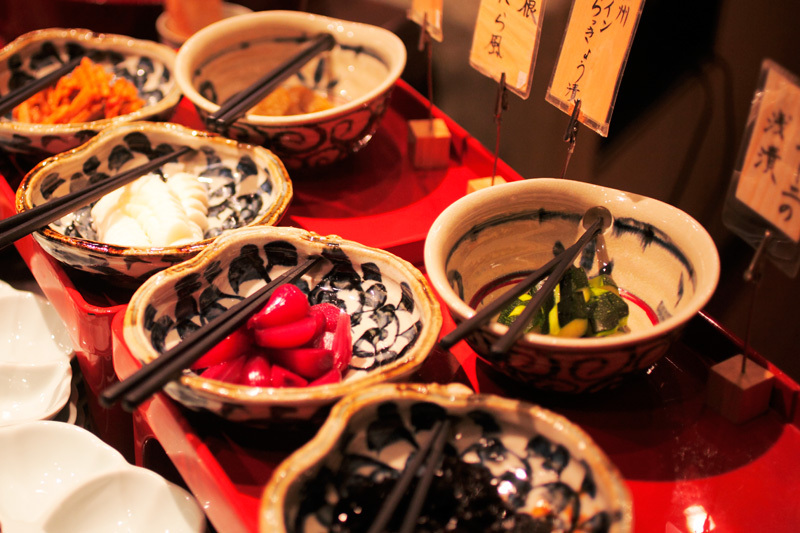 “Sunki” [su-n-ki] is a pickled red turnip leaf dish typical to the Kiso area. 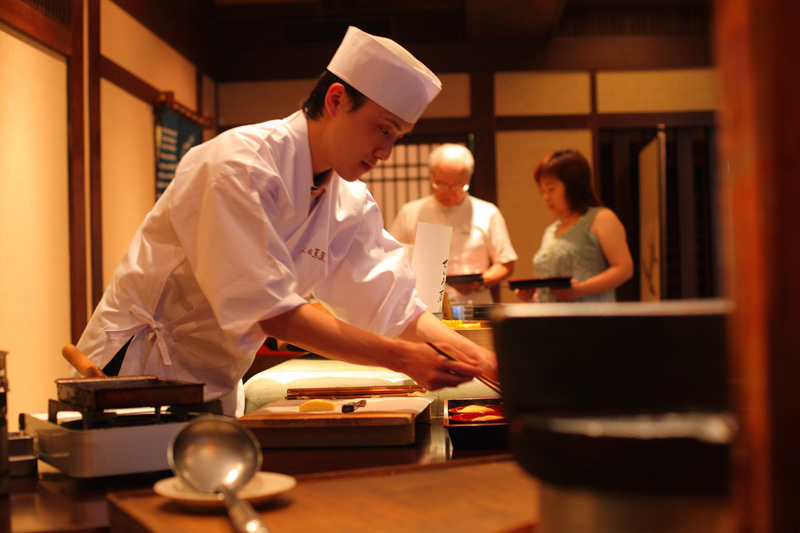 Tsutaya’s sunki recipe has been passed down over generations. “Sunki” is a winter specialty that can only be found in Kiso. Sunki is an unsalted pickle fermented with the leaves of red turnips, which are harvested in the autumn. It is rich in botanical lactobacillus, which has an inhibiting effect on allergic symptoms such as hay fever and bronchial asthma. Its research results have been published by Professor Okada of Tokyo Agriculture University. Please try our famous sunki, the winter flavor of Kiso. Is the innkeeper in the garden?! 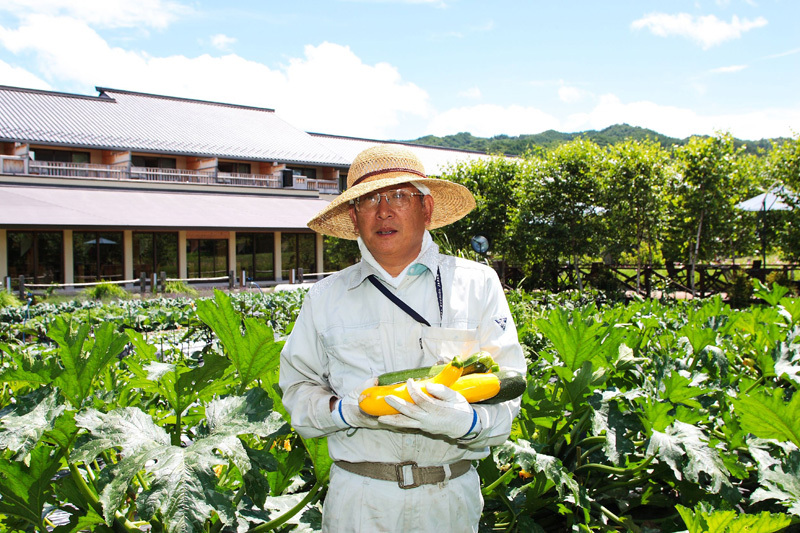 Our company’s innkeeper, Takeshi Tsuda goes to his garden every morning at 5’oclock. He is always working in the garden. “How did you get these vegetables so crisp?” “I am so happy that I can eat lots of fresh vegetables!” These are a few comments we have received from our guests. This is what the innkeeper strives for. The comments and smiles of our guests inspire him to work hard everyday. 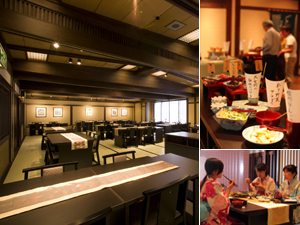 You can enjoy the special local meals of Kiso. 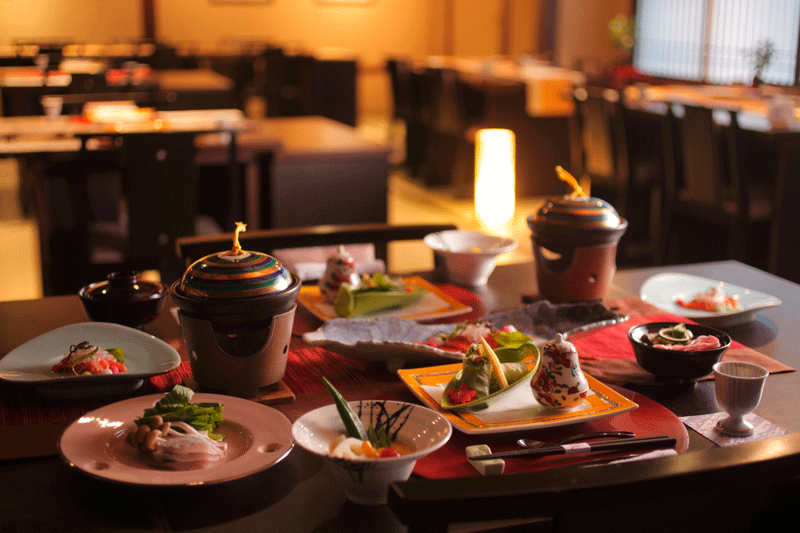 You can eat while relaxing and stretching your legs out in the Japanese-style room at both breakfast and dinner. Please use our restaurant for various events such as dinner parties or school reunions. ・One person: from 5000JPY (Please call for a more detailed estimate for your event). *Reservations are required for all events. *Please call in advance to make your reservation. *If you have allergies please contact us in advance. Copyright (C) 2016 Onyado Tutaya allright reserved.